Paresh C Palicha wonders why Malgudi Days has so many subplots when the main idea itself was good enough for a film. The title of the film is very misleading as it has no connection with the fictitious township created by R K Narayan or the popular television serial made on the novel. Here, Malgudi is a boarding school in a secluded hill station. In the film, we're introduced to Milan (Master Vishal), a fourth grader who gets reprimanded and punished often by the teachers and the principal of the school. Then, there is a girl named Atheena (Baby Janaki) who gets admission in this school mid-term because she is going through a depressive phase after her father died in a freakish accident. The two of them develop a unique friendship. Their tale takes a turn when they meet a mysterious person who is hiding in the foliage near the school. He is gravely injured and asks them for water and also requests them not to tell anyone that they have seen him. 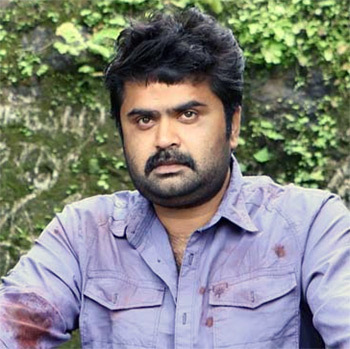 This mystery man is Zephan (Anoop Menon), who is suspected by the police to be having links with Maoists. The kids begin to take care of him by providing him food and water. Then, we go into flashback for Zephan's story. Zephan is an artist and a tea estate owner, living in a secluded bungalow in the same hill station with his wife Janet (Bhama) and young daughter. One night, a group of strangers seek refuge in their home, as one of them is wounded, and bleeding profusely. Soon, Zephan realises that it is a bullet wound and in no time, they are ambushed by an anti- terror squad. The terrorists, and Janet, are killed. Zephan kills the chief of the anti-terror squad in the heat of the moment and becomes a fugitive. Said to be inspired from a real life incident, it makes us wonder why the directors had to add subplots when the main idea itself was good enough for a film. Anoop Menon looks subdued without mumbling trademark philosophical lines. Baby Janaki and Master Vishal do their best to keep us charmed and entertained. It is their tiny shoulders that carry the responsibility of making the plot look convincing. There are even a couple of physically precarious situations which make our hearts go out for them. Interestingly, the film is written and directed by three siblings Visakh, Vivek and Vinod. Malgudi Days tries to say too much but fails to convey anything.